Deal hunters will be familiar with online sales happening throughout the year. The 9/9 sale in September, 11/11 Singles’ Day in November, and of course the Black Friday sale that’s also in November. There’s another date to add to this list with Chope Deals’ Online Food Festival that is happening from 1 to 5 October 2018. 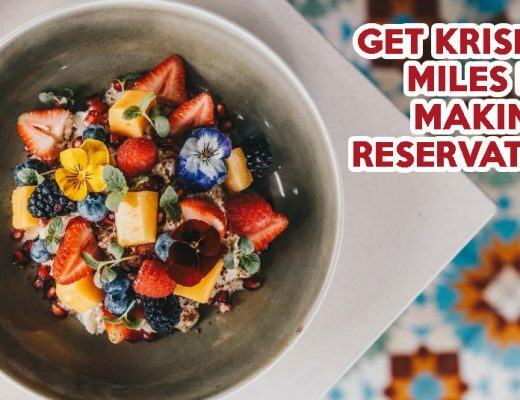 Showcasing some of the best dining deals in Singapore, there will be over 150 restaurant vouchers on sale at up to 85% off. The five-day event will focus on a different type of cuisine each day from 1 to 4 October, with a Mega Flash Sale happening on the last day. Here’s a sneak peek of what to expect. Crafting modern Japanese dishes, Maru serves up interesting sushi rolls and donburi. For Chope Deals’ Online Food Festival, their Four Course Set Meal will be going at $15 nett (U.P. $30++). 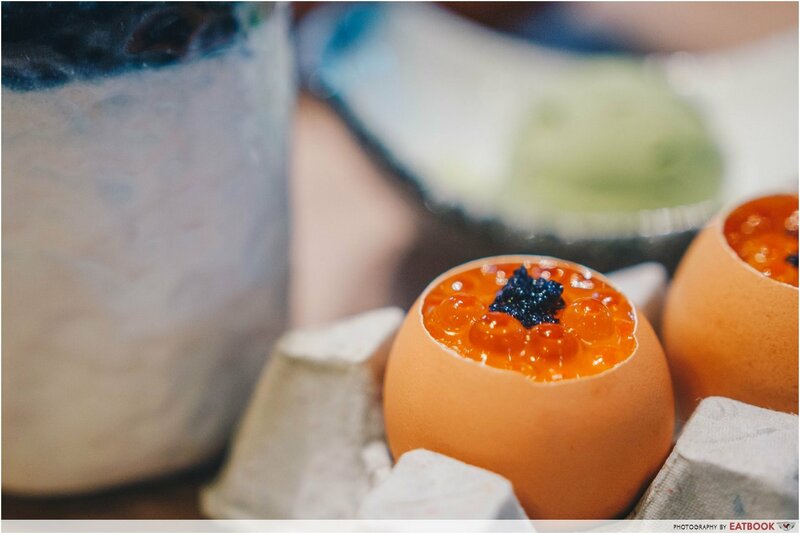 The set includes Ikura Chawanmushi, Anago Foie Gras Don, miso soup, and a scoop of ice-cream. The Anago Foie Gras Don combines grilled salt-water eel with chunks of foie gras and flavoured sushi rice, which is then glazed with honey for a rich and decadent flavour. We visited Bao Makers a few months ago and were impressed by their signature buns. There are four to choose from, but the Chilli Crab Bao (U.P. $5.80++) was definitely our favourite. 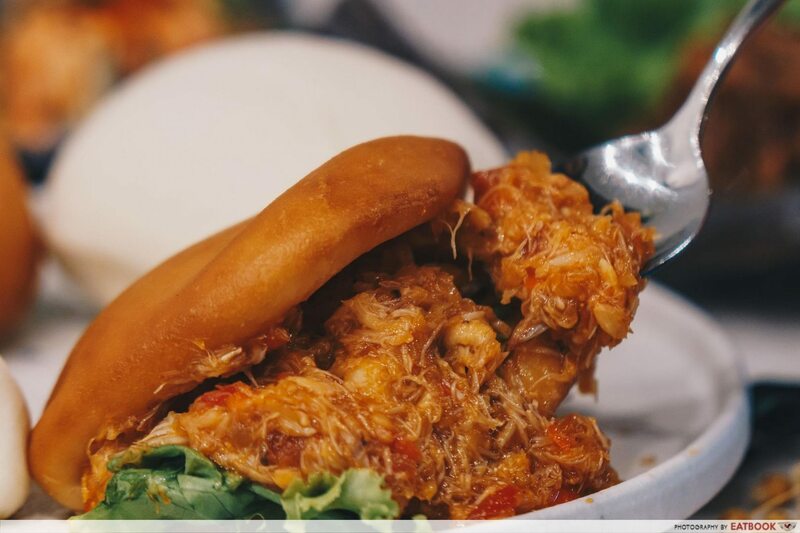 You’ll find crab meat chunks mixed with the chilli crab sauce sandwiched between a crisply fried mantou. The sauce had just the right amount of tanginess, and I particularly liked how just a serving can satisfy my chilli crab cravings. I’ll be camping in front of my computer for this deal as they’re having a Main + Drink promotion at $15 nett. You get to choose from eight mains, including the Bao Set that comprises two buns of your choice, a house salad, and edamame. This buffet is ideal for busy executives who are rushing for time, but still want to enjoy a delicious meal. The weekday Semi-Buffet at Ash & Elm will be going at $12++ (U.P. 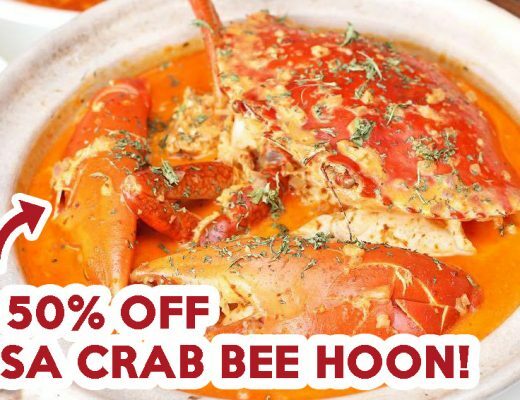 $28++) at Chope Deals’ Online Food Festival. 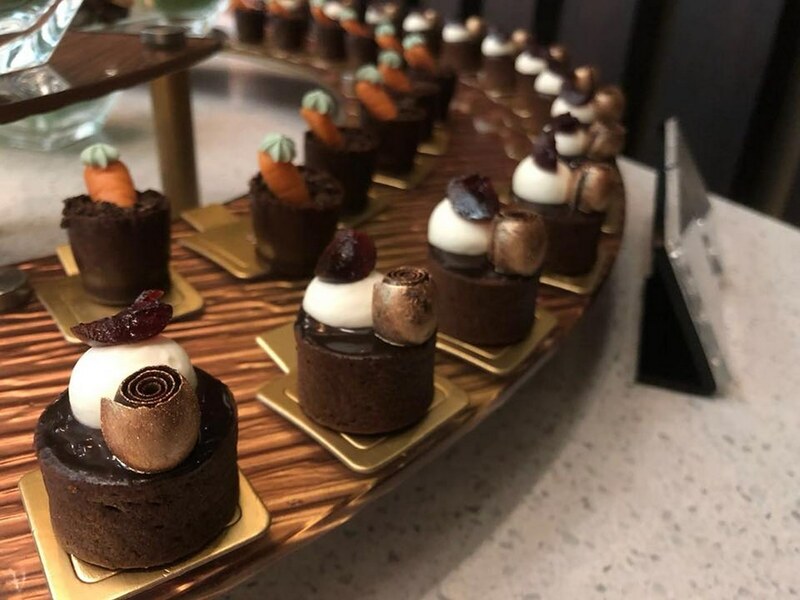 This appetiser and dessert buffet includes unlimited access to their wide range of desserts and appetisers, 12 types of cheese, and a charcuterie that features their very own house-cured cold cuts. Sashimi is always a good thing, especially when there’s an unlimited supply of it. Shin Minori @ UE Square will be offering their Omizu Lunch Buffet at $51 nett for two people (U.P. $117.46) on weekdays. Expect to feast on plenty of quality Japanese fare, consisting of more than 160 dishes. 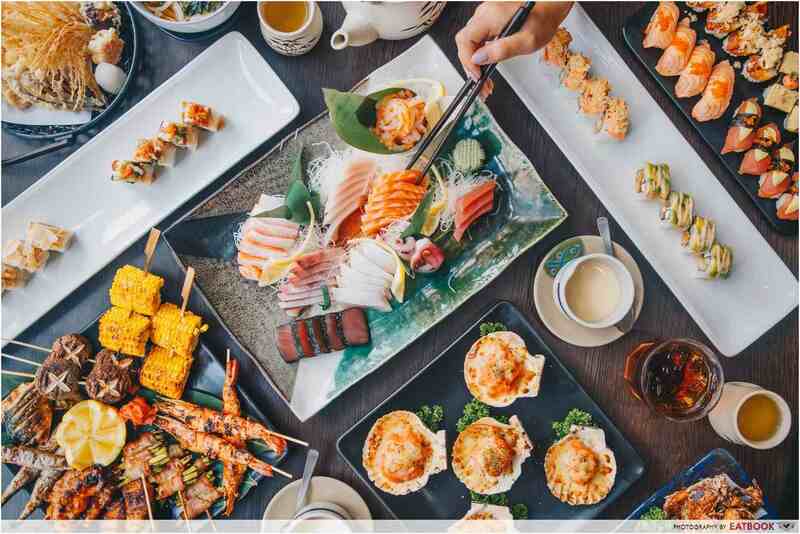 The dishes include teppanyaki meats, grilled dishes, seven varieties of fresh sashimi and more. Diners can also look forward to free-flow soft drinks, tea, and a dessert or fruit of the day. Located in a sleepy alley off Balestier, Wheeler’s Yard is a cafe with an in-house bicycle shop. Combining industrial and chic elements, the cafe is an ideal place to chill with a good strong cuppa while filling your ‘gram with plenty of hipster-ish shots. Get a 3 Course Set Meal at $15 nett at Chope Deals’ Online Food Festival. This allows you to get a soup or salad, a Porky Bowl or 60°C Chicken Breast, and a glass of Lemon Tea or Lemonade. 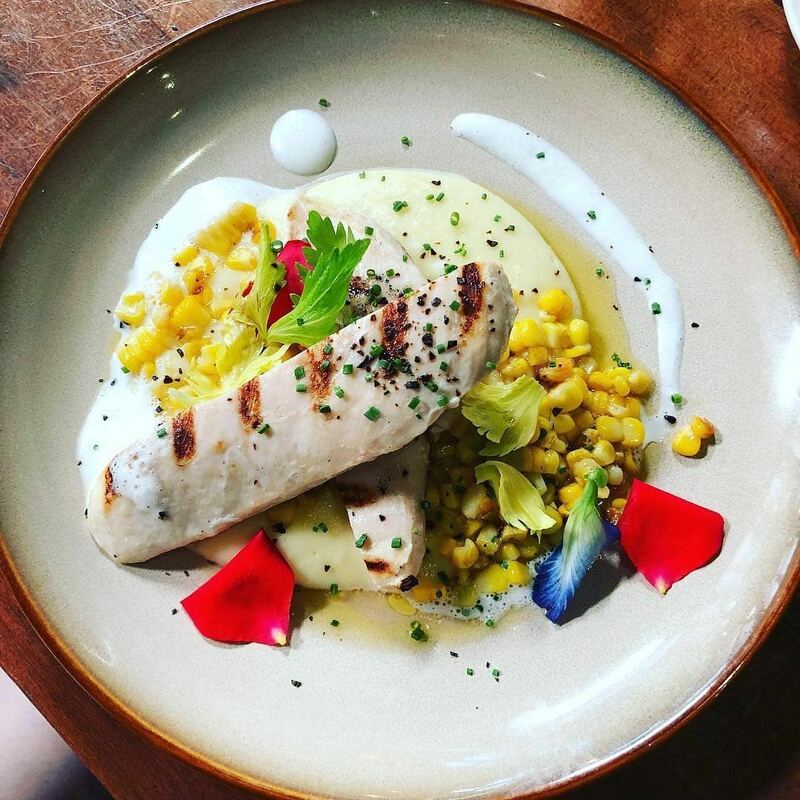 The 60°C Chicken Breast is sous vide, then lightly grilled, remaining tender and juicy. El Cubanos specialises in Cubanos – Cuban-style pressed sandwiches. The Pulled Beef Brisket Cubano (U.P. $9.90++) comprises beef brisket that has been braised for eight hours in a special housemade sauce. 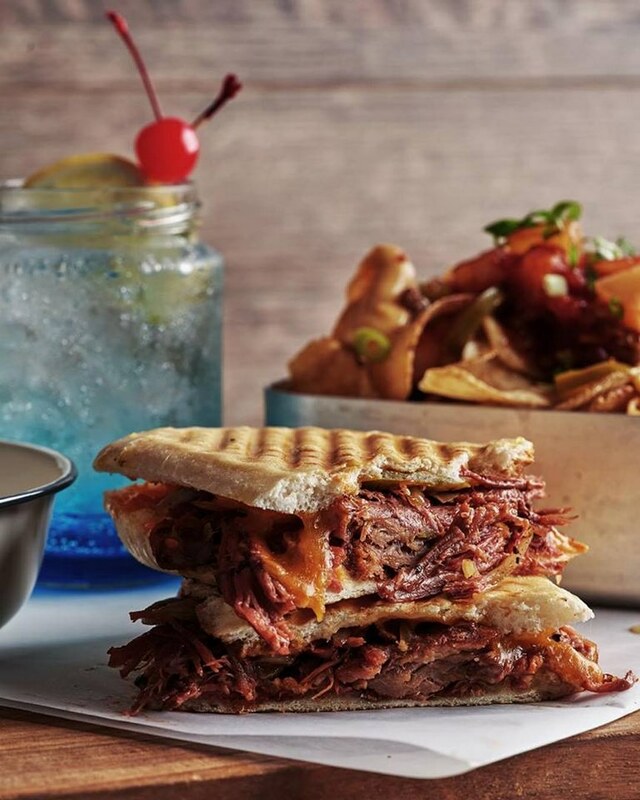 The brisket is then sandwiched with bread and toasted on a sandwich press. At Chope Deals’ Online Food Festival, you can get a Cubano and a speciality mocktail at $13 nett. This lets you select from four Cubanos including Pulled Beef Brisket, Grilled Chicken, Wild Creamy Funghi and Spicy Tuna. 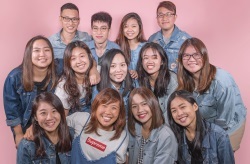 Hailing from Germany, the Singaporean branch of HANS IM GLÜCK is the first in Asia. 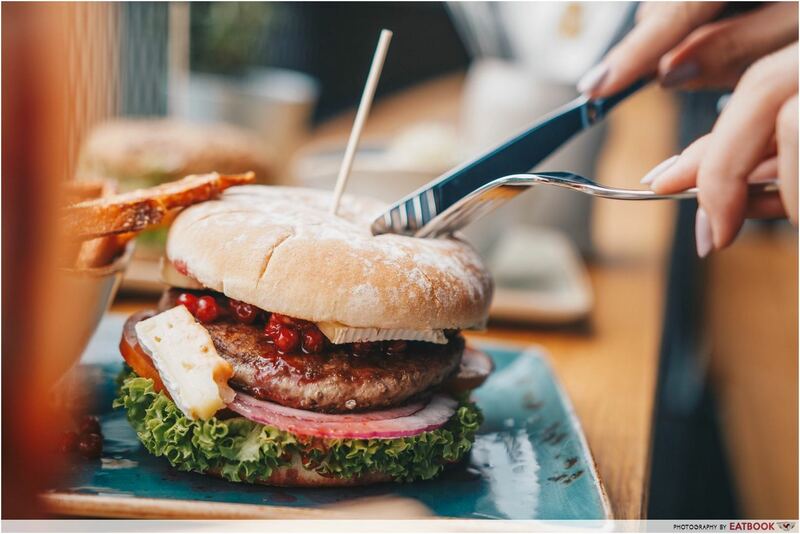 Chope Deals’ Online Food Festival deal will allow you to enjoy any burger and a choice of side from the “on the side” category at $15 nett. We recommend the HANS IM GLÜCK (U.P. $17++) that comes with rocket leaves, juicy grass-fed beef patty, shavings of Parmesan cheese and Parma ham. The flavours are well balanced, with a careful harmonisation between the ingredients that makes each item go well with one another. For something savoury-sweet, try the Elsässer (U.P. $16++) – a beef burger that includes cranberries and Brie. 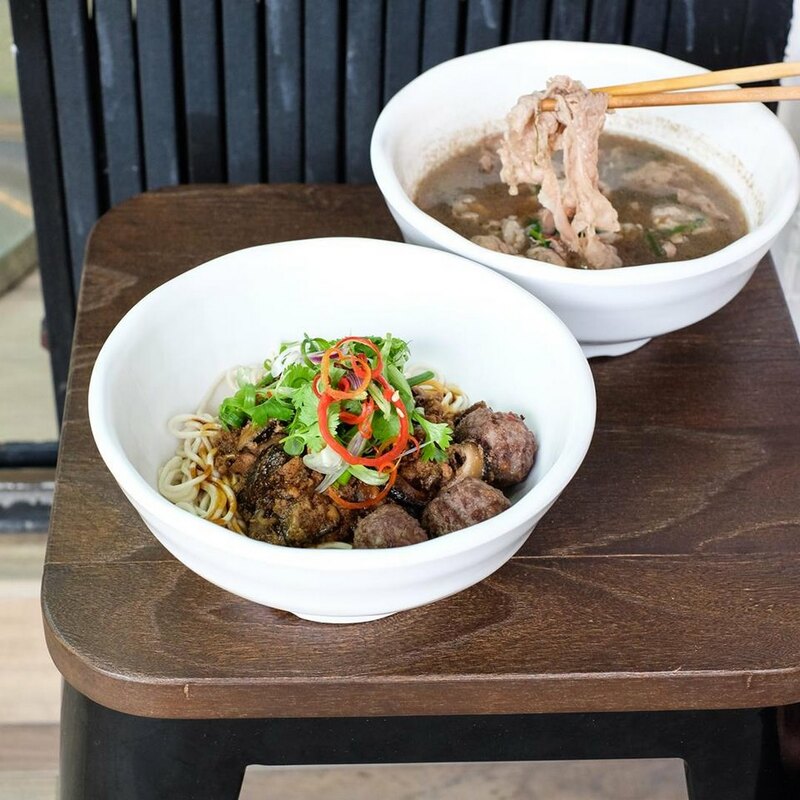 Choose from hearty bowls of noodles to thick burgers at GRUB Burger + Noodle Bar. At just $15 nett at Chope Deals’ Online Food Festival, you’ll get a main and drink. Try the Dry Premium Wagyu Noodles (U.P. $16.80++) for a hearty bowl of noodles with various textures of beef. Fresh egg noodles are tossed with beef mushroom stew, housemade beef balls, and wagyu shabu slices that are slow-boiled in beef broth. This comforting bowl of noodles is perfect for rainy days or when you just want something nourishing. Located just next to the picturesque Esplanade waterfront, Alter Ego is a great place to chill with the mates after a long day at the office. 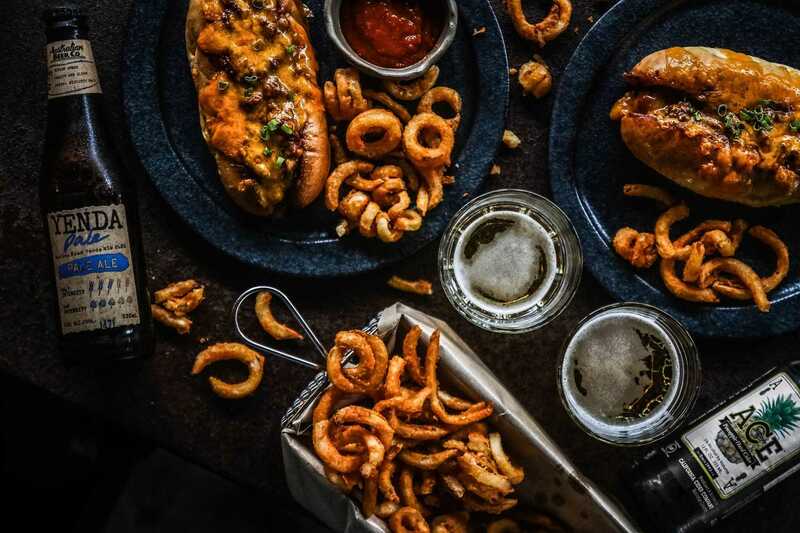 There are plenty of craft beer labels and bar bites here, and you can pair them with their Chilli Cheese Dog (U.P. $17++), which comes with grilled cheddar sausage topped with sweet and spicy beef mince. And yes, they have curly fries here as well. At the sale, $25 gets you a $50 voucher, and a $100 voucher goes at $70. Escape from city life and chill out beside Bukit Timah Saddle Club at Riders Cafe. The Brioche French Toast ($17++) is the perfect way to start the morning, with brûlée bananas that are crunchy on the outside and creamy on the inside. Drizzle all that with maple syrup and you’ll get a breakfast fit for a king. The restaurant’s close proximity to the saddle club means you’ll be able to catch horses trotting around. Kids between the ages of three to 12 can even experience a pony ride at the club at $10! 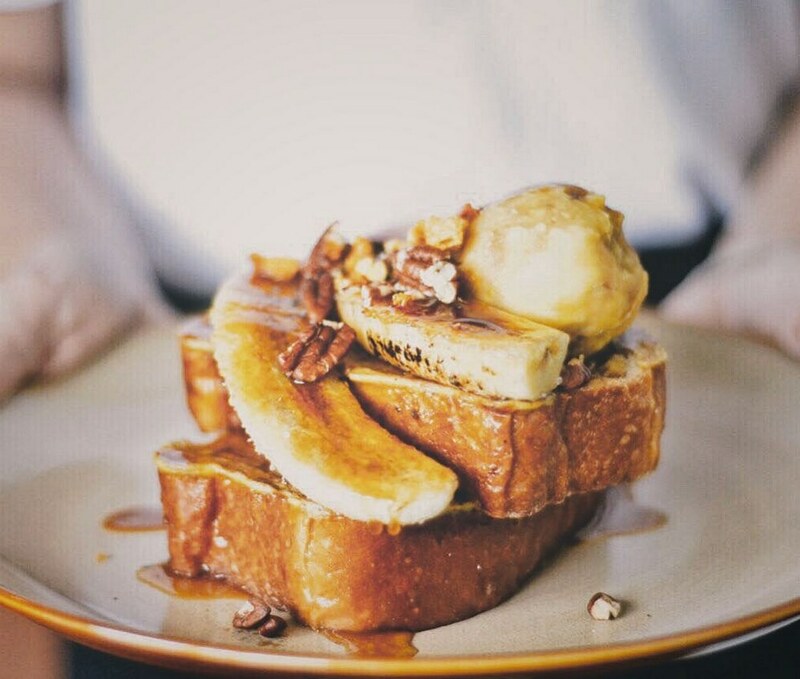 During Chope Deals’ Online Food Festival, you can get a $50 voucher at $35, letting you enjoy additional savings for more luxurious brunches. 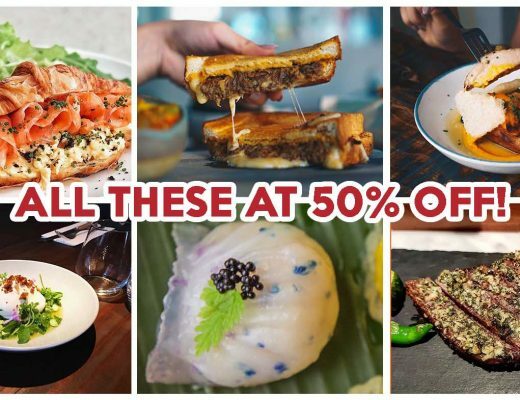 Other than the restaurants on the list, there are many more that will be offering great deals during Chope Deals’ Online Food Festival. From 1 to 4 Oct 2018, four special deals will be released at 12pm, 3pm, and 6pm respectively, which means you can expect to catch 12 great deals per day. On top of that, there will also be a special discount code released each day that’ll give you an extra $3 off selected products without any minimum spending. This applies from 1 to 4 October 2018 and will only be valid for the first 300 redemptions a day. On 5 Oct 2018, there will be a huge sale with over 100 dining deals released at midnight. Flash sales will happen at 10am and 5pm, where $10 and $5 flash deals will be featured at the respective timeslot. Heads up for Visa cardholders – enjoy an extra $10 off with a minimum spend of $50 on 5 October! You will have to be fast though, as this promotion is limited to the first 1,000 redemptions only. All you need to do is key in the discount code <CHOPEAPPVISA> when you’re checking out via the Chope app. Chope Deals’ Online Food Festival will be held from 1 Oct to 5 Oct 2018 on both Chope Deals’ website and app (App Store/Google Play).